When Blendtec said yes to a review and giveaway, I was more than excited. I’d always wanted to test one out and see what it could do. I have had my Blendtec for about a year now and I have to say, the thing handles like a champ. I love its sleek design and ability to turn anything I make into exactly what I need. The Designer Series has specific buttons for things like smoothies and juice and even a soup button that blends and warms soup to the perfect temp. This giveaway comes with two jars, the large WildSide+ Jar that comes with the blender and the extra, smaller Twister Jar. 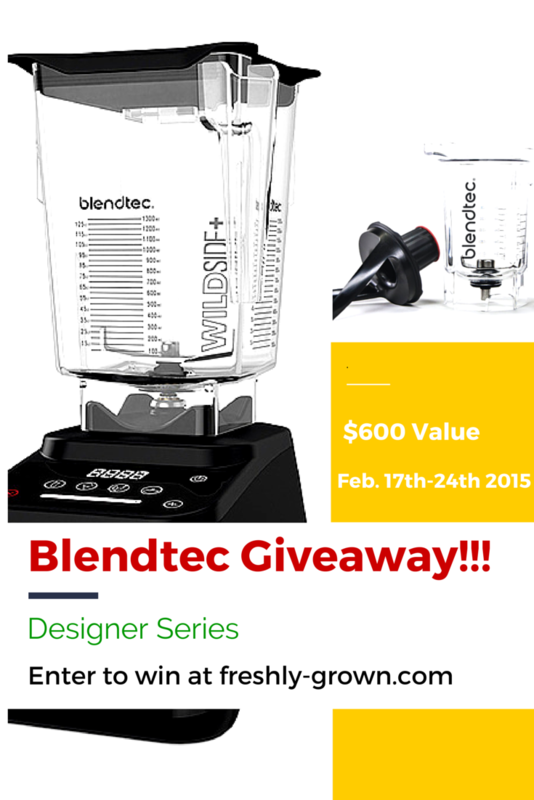 The Blendtec blender available for giveaway is their Black Designer 625 Series + Twister Jar. A $600 value. This contest is open to US and Canada residents only. 1. Subscribe to Freshly Grown posts + newsletter via email. Freshly Grown will not share your email address ’cause that’s not cool. 2. Like Freshly Grown on Facebook HERE. 3. Like Blendtec on Facebook HERE. 4. Leave a comment below letting us know what you would make first with your Blendtec 625. A winner will be chosen via random.org. We will announce the lucky winner on Wednesday, February 25th. The winner will have 48 hours to contact (befreshlygrown at gmail dot com) with his/her full name, address, and phone number. There is no purchase necessary to win. 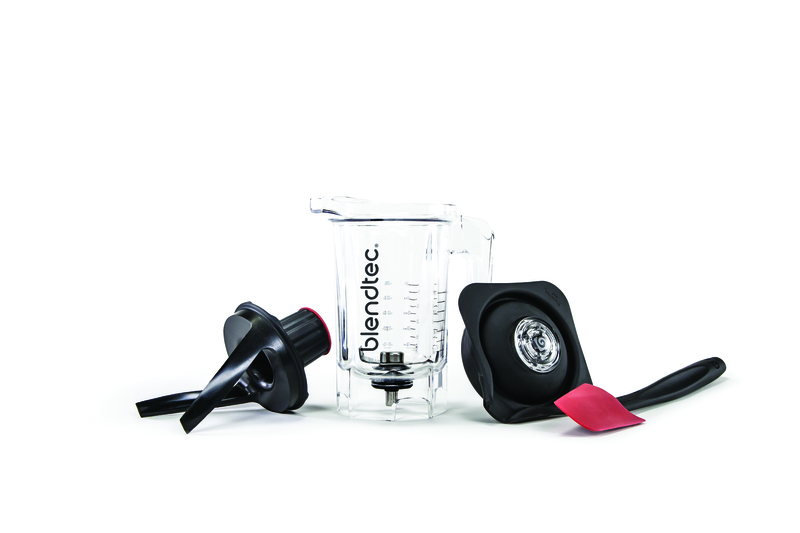 This giveaway is open to everyone, but the Blendtec 625 + Twister Jar will only be shipped to U.S. or Canadian residents. 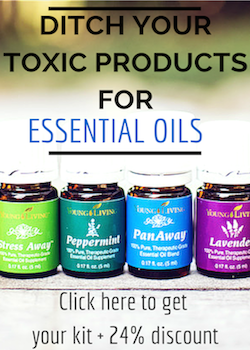 Next articleMarch Essential Oils Promo!! But, real talk…lol! Love it. Yeah, can’t go wrong with smoothies. It’s a go-to Blendtec must. I would make a green smoothie first but have so many other things I would use it for to be healthy. What I would make first would probably depend on what time of day I had it in hand. Morning? I would love to try your Best.Coffee.Ever. Later on? a smoothie that would be for real smooth, no kale “chips”. And then I would try everything else!!!! I would make smoothies for breakfast!!! I would make my wonderful curry, coconut squash soup! I would make a smoothie first. Not sure what kind yet. I do have a bunch of frozen organic grapes. Have to find out what goes good with them. i would make my kale smoothie! I’d make a green smoothie first and drink it while I browse recipes/ideas for what I’d make next and next and next. There are so many things to make in one of these, I have wanted one for so long!! First, I would make almond butter! Nice and smooth!! Lots of things I could make, but the first would probably be a nice diabetic friendly smoothie! I’m dying to try some yummy-sounding paleo waffles. Have been wanting a Blend-tec for years. I would make my yummy home made salad dressing first. I love it, but its a pain to do by hand! I’d make a blueberry and coconut water smoothie! Thanks for this opportunity! Hello – What a gorgeous blender. How exciting! Today is Mardi Gras. It is freezing in New Orleans, Louisiana. Happy Mardi Gras to All. Bloody Mary’s and then Lemon Poppyseed Muffins! That would be incredible. I would make the creamiest oil free hummus!!!!! Can’t WAIT to try! I would make roasted red pepper tomato soup! My Oster blender burned up 4 months ago and I haven’t gotten around to replacing it yet. Unfortunate because that soup is perfect for the freezing temps and snow we’re experiencing in VA.
we do smoothies daily so that might be my first thing but i would love to make soup or ice-cream or even sauces with it. i will probably be making some amazing organic baby food for my twins first. So many amazing things I could make, but first would probably be some type of pureed,liquified,or chopped veggie for my 18 month old. We are that stage where healthy food must be hidden in his favorites or they would not be consumed 😉 My 5 year old on the other hand eats healthy foods left and right. He LOVES ninja turtle smoothies- aka any type of green smoothie. 🙂 Thank you for the opportunity to win! Larger batches of smoothies to share with my grandkids would be first. They tend to drink most of mine so I end up making their own. I would make pureed tomato soup! Right now i have a bullet and i have to blend my tomato soup in pieces, and it makes a big mess! The very first thing I would make is it Almond milk, my entire family loves it! My daughter prefers me to make it chocolate for her but with Organic cocoa anything is possible. I would make a green smoothie! Love my smoothies! Bulletproof coffee! Then a yummy soup! I’d make almond filling and whipped cream for Fat Tuesday Cinnamon Buns if I’d win today. Otherwise green smoothies and wintery soups to stay healthy. My old blender is flying sparks, the pitcher is cracked and leaking, but it has been of great help as cooking is a challenge since we are remodeling our kitchen among the rest of the home. We’ve been doing so for the past two years, so I guess it’s a lifestyle now, but we’re almost there. New blender would be welcomed in this household. Just don’t tell my old blender I said that, at least not yet. I love to make smoothies and soups. I’d make a nice creamy squash soup! Thanks for hosting this giveaway! I would first make my own organic salad dressings! Haha! Sorry to hear. Sriracha cream sauce sounds divine. So many possibilities! But I would probably make a good old smoothie first. I would make a smoothie with plenty of ice! I would be making smoothies all the time all day everyday!! 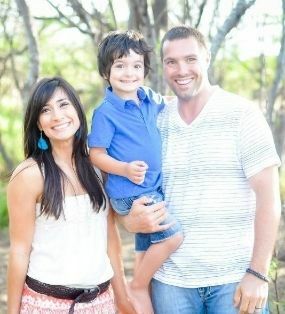 I would help improve my family’s health! Make wonderful smoothies, Popsicles, and drinks that can add to their heath and taste good. 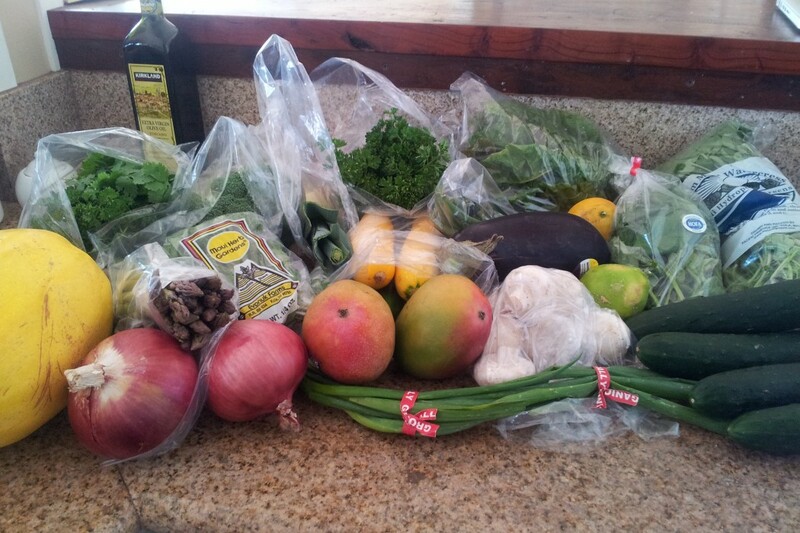 I canals try all those juice cleanses I need for my liver that I found on Pintrest! I think I would start simple – with a smoothie. I think it would be used for about ten things in the first twelve hours! I’d make coconut avocado grasshopper bars — I made them the other day but couldn’t get the coconut pureed enough that my coconut-hating husband wouldn’t notice it, so I’d try those again, and see if I could get the coconut to disappear. A BIG Smoothie or SOUP!!! I’d make that enchilada sauce I could drink!! Yum! I would make some almond butter – I’m nearly out and its a pain to do with my tiny cheapo food processor! We make green smoothies every day for snacks, but I’d love to be able to include the green tops of strawberries and such with the Blendtec. Also would love to make some fresh almond butter at home. I would make some kind of nut butter. Thanks! I am in desperate need of a new blender that will work properly. I hope I can win this one! Where would I start?? I would probably start with a smoothie with kale, banana, mango, and pineapple juice! I would make almond butter and coconut milk. Definitely a smoothie. I’m on AIP Paleo and breakfast is impossible. I need this!! I would make my own nut butter! Can’t wait! 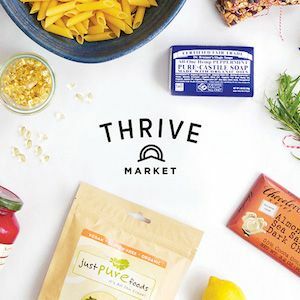 Cashew butter or a gluten free treat. Lots of recipes. Or a a green smoothie! Or sigh so many choices! I have a ton of smoothie recipes to try for my very picky toddler, but no blender. Thanks for th opportunity to win! We would toss our awful Waring Pro blender out of the window and blend up a big batch of frozen fruit smoothies like the ones we had in the Bug Island! I would make a fresh batch of homemade peanut or almond butter!!! You just can’t make that in a regular blender!! I would make my own coconut milk! I would make almond butter! I’d make chocolate avocado pudding! The first thing I would make would be a smoothie with ice, my blender won’t crush ice very well, so I end up with a slushy, not a smoothie! Actually, I think I would make that chocolate almond butter milkshake you have listed, Ya…Um! Then I would make nut butters, nut milks, creamy raw frostings, soups, really, the list is endless! I love a good smoothie and so does my husband! We could enjoy those along with pancakes and more from a blender like this! The first thing I would make is smoothies for my kids as an after school snack. I’m a huge fan of smoothies … so that would be the first thing I would make. Of course I’m going to make a smoothie. I would make a yummy green breakfast smoothie. I have been wanting to try kale. All kinds of nut butters!!!! I would make hollandaise sauce! I’ve been craving eggs Benedict! when I win the Blendtec, the first thing I would make would be a green drink! I love spinach, romaine, kale, pear, celery, cilantro, parsley, pineapple, lemon juice – a good blender means it’s nice and smooth! Ooooh, the possibilities! That soup feature is insane-o.. I’m thinking since we’re buried up to our pits in snow here a hot creamy soup is the first thing I’d make with this rockin blender! Perhaps a smooth beet and shallot soup.. the color.. the flavor.. simple and truly YUM! I would make smoothies and would be tempted to make margaritas! Soooouuuupppp!!! Oh how I’d love to have a Blendtec to make soup with! Just getting the ingredients like pumpkin or squash that perfectly smooth and creamy texture that only a great blender can give…. That’s what winter dreams are made of! 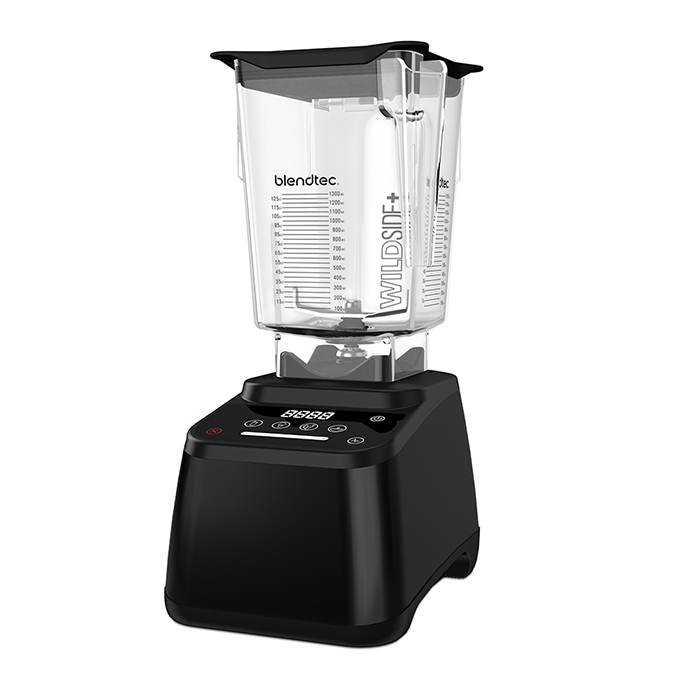 I would make a creamy ranch BBQ dip, or a good marinade with this Blendtec 625 Blender. Oh the choices. Oh, the choices! So true. ALL of those sound so good. I would make pesto first, followed by hummus and then salsa! and of course smoothies but I love pesto and hummus so those have to come first! I would make bullet proof coffee first :). I would love the large blender, but honestly think I would use the twister jar every day! I love the idea of a personal size! I would make almond butter first! I would do some fresh and delicious vegetable juice! The first thing I would make is a garlic hummus dip. umm, so cold right now I think I’d make soup first! 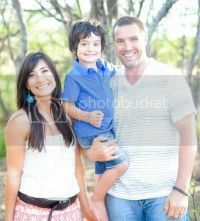 We are adopting in May and breastfeeding is not possible for me. 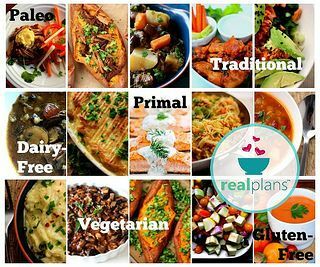 I have been trying to find the best alternative…came across the WAP recipe but was intimidated by all the difficult to access ingredients. I’m so grateful to see your goat’s milk recipe here! That looks much more doable! I would also definitely use my new blender to make this for my sweet baby! Oh, Angie! Good! Yes, the homemade goat formula is completely do-able, you can make bigger batches and try freezing, too. It really worked for us, I just blended everything together and added probiotics + cod liver oil to 1 bottle per day, that’s it! So much better for her and her skin glows because all of the good coconut oil. Let me know how your baby does on it if you try it. I will probably make a green smoothie first but oh the possibilities are endless with a Blendtec! I have always heard of green smoothies, but never tried one as our current blenders are not up for the task. I will definitely be picking up some kale, spinach and other greens to throw in the blender for the trial run, but am really looking forward to the summer when I can pull fresh veggies straight from the garden for fantastic smoothies. The first thing I’d make in this Blendtec is a green smoothie. 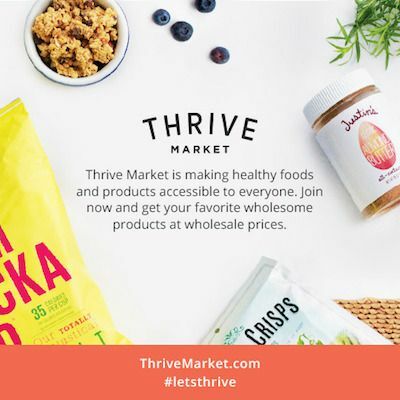 Then I’d have fun trying out lots of other recipes and getting even more fruits, vegetables, beans, nuts, and whole grains in my daily nutrition. Thank you for the opportunity to win this – I’ve signed up for the newsletter and liked both FB pages. I’d make a gorgeous green smoothie with kale and green apples. Just FYI, the raffelcoptor link doesn’t seem to work very well. I would make banana and blueberry ice cream with maple syrup with my blendtec if I won! I would make cream of broccoli soup! I would use the blendtec 625 to make breakfast, lunch, and dinner. As well as smoothies for snacks and frozen fruit “ice cream” for dessert. I would make roasted cauliflower soup if I won the Blendtec 625 because it’s best when it’s really smooth and the fact that the Blendtec also heats it through would save so much time that is be able to have a healthy meal anytime, no excuses. A Blendtec 625 would make meals, treats, and snacks so much easier to prepare for my large family of 9. I’d make a delicious smoothie!! I’d make my favorite banana-chocolate-PB2-and-vegan-protein smoothie! My mini food processor does an okay job of it, but I’d love to have the real tool for the task! Breakfast smoothies for the whole fam! Green Smoothies and baby food for my sweet peanut that’s on the way! I would LOVE a Blendtec! I would first make a smoothie, I haven’t had a blender in over 7 months so I am way overdue for a nice healthy smoothie! ! But next I would make that amazing sounding enchilada sauce!! I would’ve never thought of that on my own so I’m glad I spotted it!!! Probably coconut butter since I’ve been meaning to make some for a while! But honestly… I’ll probably give this one to a family member since I JUST bought one! 😀 But I know they’re all jealous so I’ll have to figure out who to give it to! Smoothies, of course!! And nut butters! YUM! 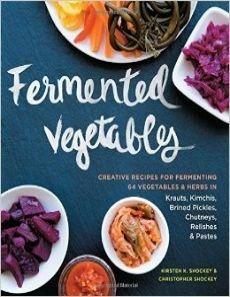 Were I to win this, I would love to make a carrot ginger soup first. I would love this and probably use it every day to make my 3 kids smoothies, their favorite thing ever! First I would make Tortilla soup! Then I’d learn to make (and like) green smoothies! I would love to make fresh healthy soups as my first go, if I were to win this Blend-Tec. I also love morning smoothies, and I am a real coffee junkie, so Best. Coffee. Ever. would also be my priority! Thank you for this opportunity to win!